If, like me, you're done with cooking anything complicated and heavy for a while - that's understandable. Keep reading. I have a super-easy, no-thinking-involved, fast, fresh and flavorful recipe for you. It'll make quick work of those last ingredients still languishing in your produce drawer and will look like you actually spent time in the kitchen, you know...thinking about dinner again. And even though this recipe is NOT salad, it just happens to feature my newest favorite discovery: the best bottled dressing I've ever tasted! So - go on... take stock of the lonely, leftover produce you bought last week. See what you have to work with. Then prepare to throw together something amazing! First, a little about the dressing. Have you discovered the awesomeness that is"Dress It Up Dressing"? You must! I don't often rave over new products, but this stuff is just SO GOOD! They're a small, woman-owned company with a fabulous line of artisinal salad-dressings, and most of them are vegan. Their ingredients are simple - things you'd find in your own kitchen, and actually good for you; quality olive oil, vinegar, garlic and mustard, and very little else. No water, no preservatives, no fillers, no weird, gummy textures. I mean, if you’re gonna make a salad, you’re at least attempting sorta-healthy eating, right? Why cover your beautiful salad with preservatives and artificial junk? 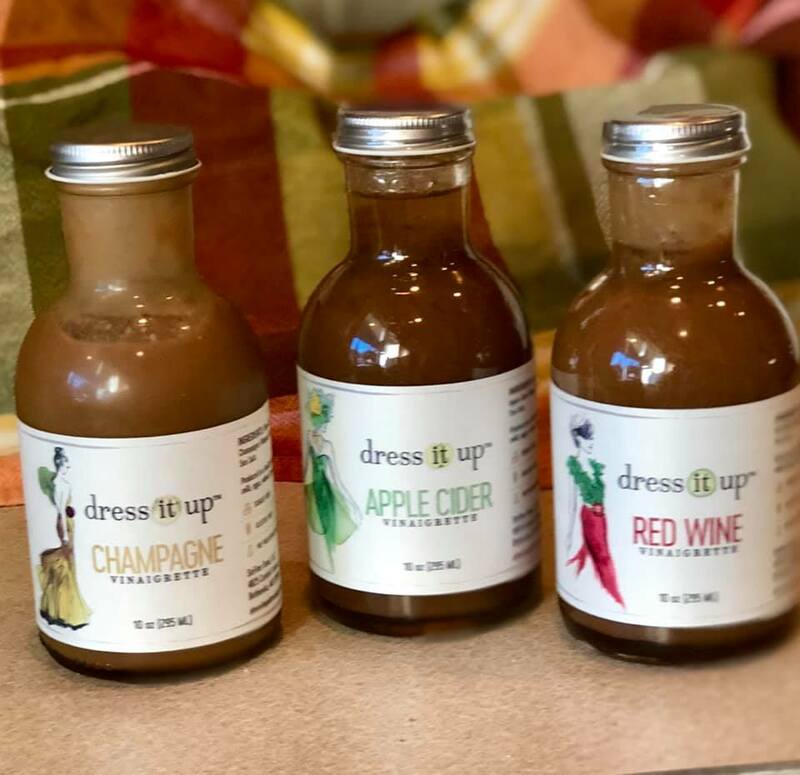 Even better, they're committed to producing their dressings responsibly and sustainably with locally sourced ingredients. Plus, the artwork on the bottles is darling, I admit it totally caught my eye before I knew anything about the deliciousness inside. 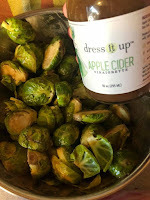 I chose the Apple Cider Vinaigrette for this recipe. I thought it complemented the fall flavors nicely. 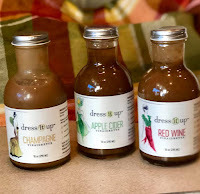 You can use any vinaigrette you want, but I highly suggest you hop over to their website and grab a couple bottles. You won't regret it, it's lovely stuff! -- pretty much WHATEVER you have in your produce bin! Garnish: Green onions, roasted nuts, Kalamata olives, dried cranberries, pomegranate seeds, fresh herbs. Put plant milk in small bowl. Unfold the pastry sheet on the prepared baking sheet. Brush the edges of the pastry with the plant milk. Fold over the edges 1/2 inch on all sides, pressing firmly with a fork to form a rim. 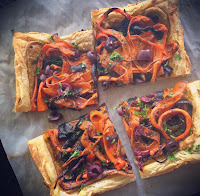 Spread inside of tart pastry with hummus, pesto or cheesy dip. Refrigerate for 30 minutes while prepping veggies. Place 1/2 vegetables of choice in bowl and toss with 2 teaspoons of dressing. Because this dressing is so thick and luscious, working it into the veggies with your hands works the best, but do what you like. Repeat with other vegetables and remaining 2 tsp. dressing. Place in a single layer on a shallow pan or baking sheet. Bake the vegetables for 5 - 10 minutes, turning halfway through baking until they're about half-cooked. Remove from oven. Cool the vegetables slightly. 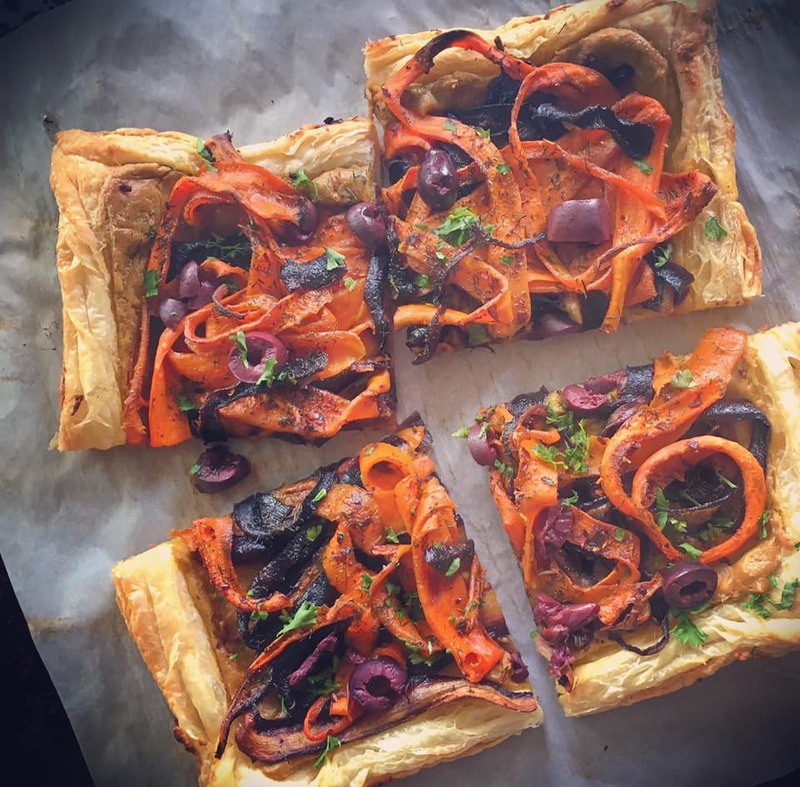 When vegetables have cooled a few minutes, remove pastry from 'fridge. 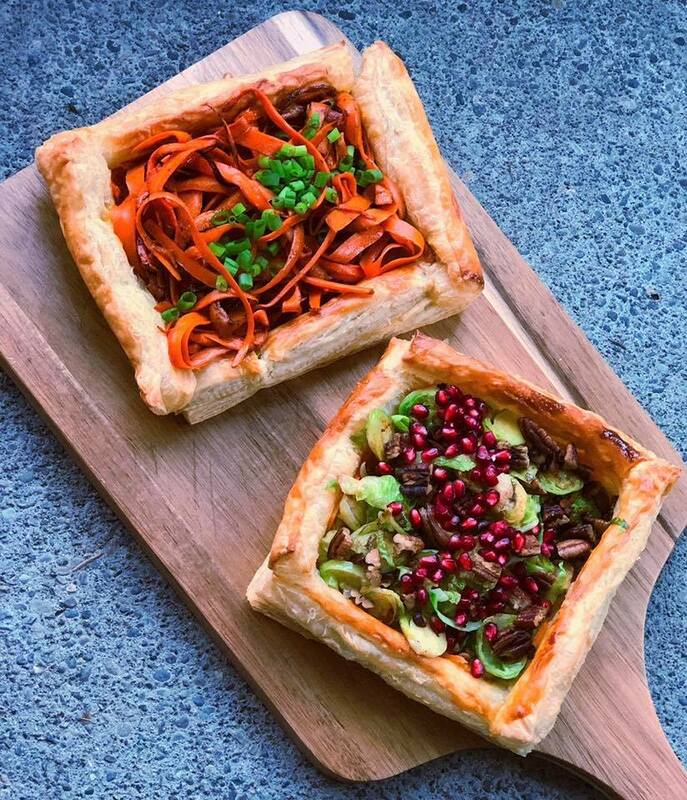 Arrange the vegetables however you like, half on each pastry. Sprinkle with garnish of choice, cut in quarters (or smaller for appetizer portions) and serve. Full Disclosure: The products were provided to me for free to review, this did not influence my opinions of this product.